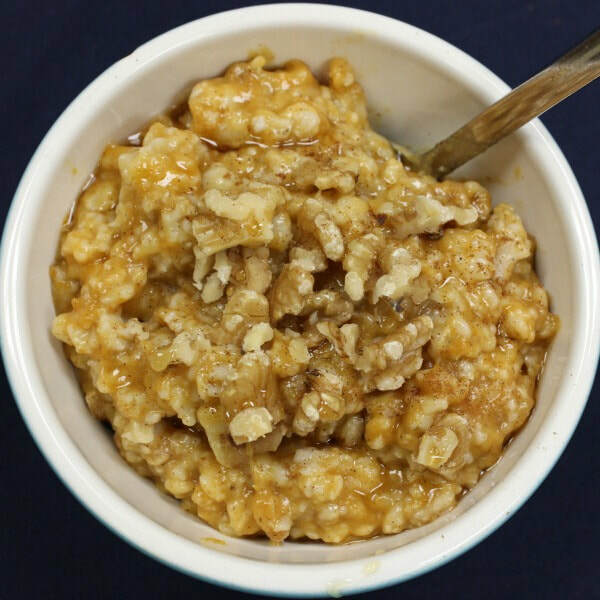 In a microwave-safe bowl mix together oats and water. Microwave according to oatmeal package directions. Stir in pumpkin puree, cinnamon, and maple syrup. Top with roasted walnuts and enjoy! Note: You can use skim milk instead of water for increased protein, calcium and Vitamin D.